Railpictures.ca - Richard Hart Photo: CP 9727 is crossing the Eagle River at mile 40.2 of the Shuswap sub and is in charge of an eastbound load of grain empties. | Railpictures.ca – Canadian Railway Photography – photographie ferroviaire Canadienne. 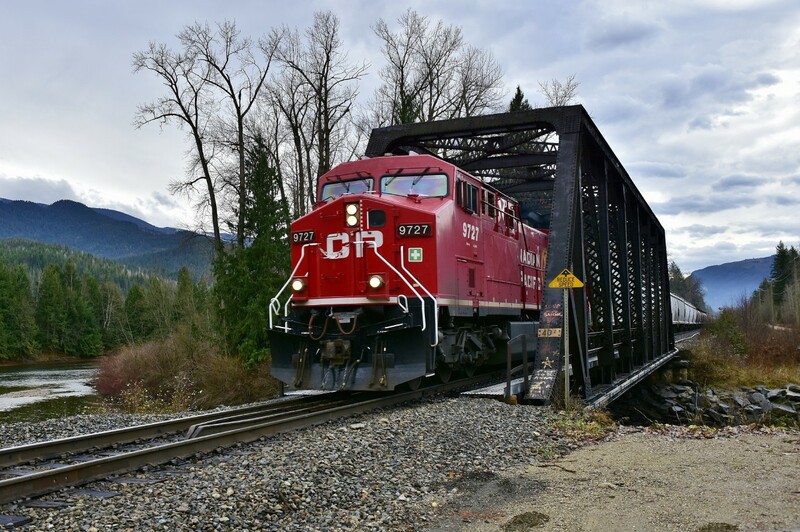 Caption: CP 9727 is crossing the Eagle River at mile 40.2 of the Shuswap sub and is in charge of an eastbound load of grain empties. Haha, thanks Lance, I appreciate your very generous comments! Looking through your past photos, I can sure tell you are armed with a new weapon. You made a really great choice Richard. The latest pictures are superb.